Cut from UHMW (Ultra High Molecular Weight) Polyethylene sheet stock, our knee sliders offer the perfect ratio of 'friction to feel'. Designed and tested by our research consultants who are all licensed AMA Road Racers. 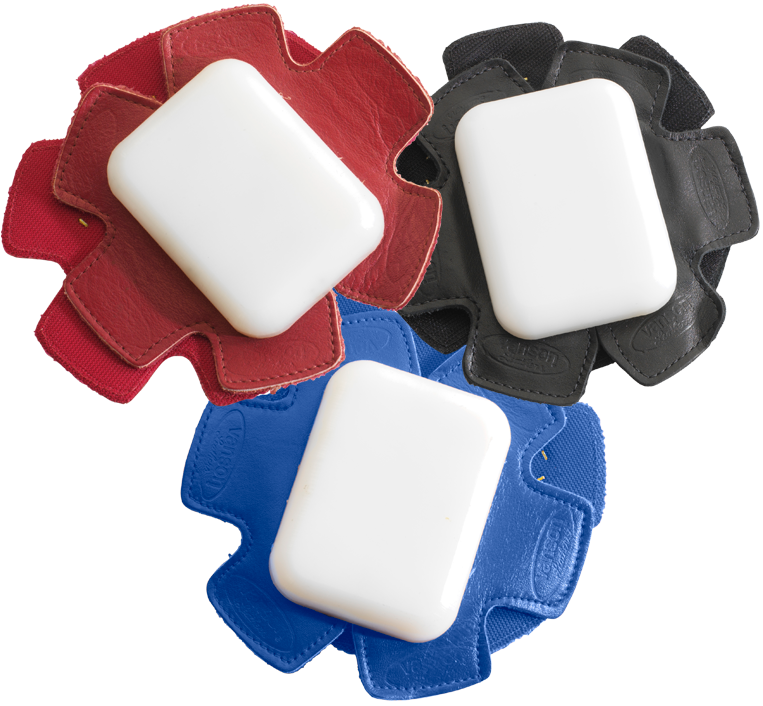 Vanson knee sliders are tested during actual road races at Daytona International Speedway, Road Atlanta, New Hampshire International Speedway, Brainerd, Laguna Seca and Summit Point. They attach to the garment with Velcro which is sewn to Competition Weight Leather 'spiders'. We recommend carrying an extra pair to the track. Available in black, red, white and blue.